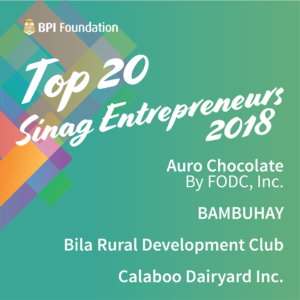 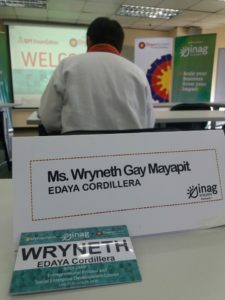 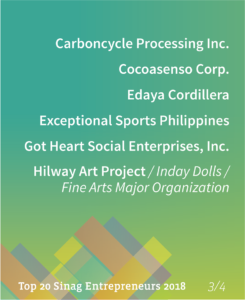 EDAYA is selected as one of the Top 20 Sinag Entrepreneurs of 2018 by the BPI Foundation. 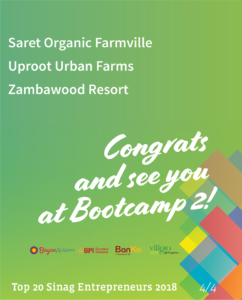 Prior to qualifying, we, together with other 39 social entreprises, attended a one-week intensive bootcamp facilitated by the Bayan Academy to learn how we can scale our enterprise and grow our impact. 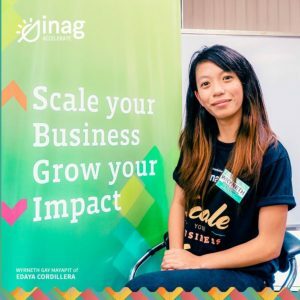 A final pitch culminated the bootcamp where 5 experts from different organizations advocating social entrepreneurship served as the judges. 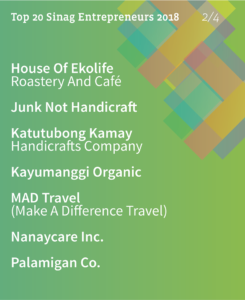 Now at Top 20, we will be attending another Bootcamp on September to further improve our impact.